Dock OneNote to your desktop so that you can easily take notes and work from another open window. This article shows OneNote 2016, but the process works the same in OneNote 2010 & 2013. Step 1:Open your notebook in OneNote. Click the View tab and select Dock to Desktop from the Views group. OneNote will appear as a smaller window on the right side of your screen. Any other open windows will be larger on the left side of the screen. 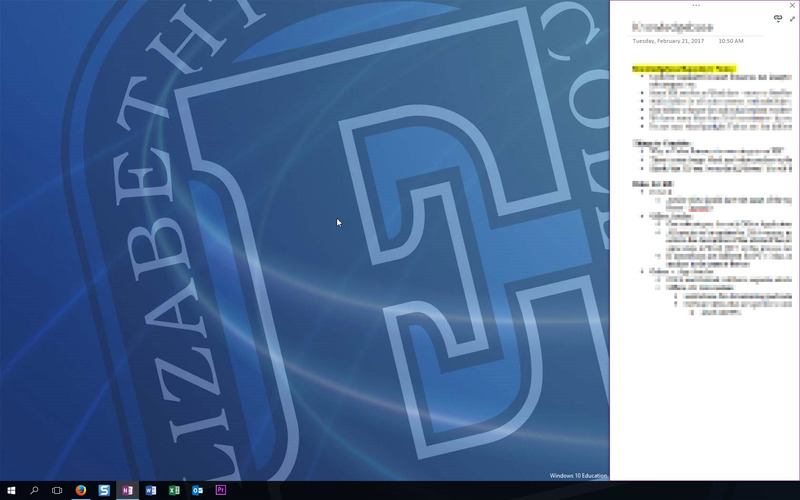 To undock OneNote, click the three dots on the top of the window. Click the View tab and select Dock to Desktop.